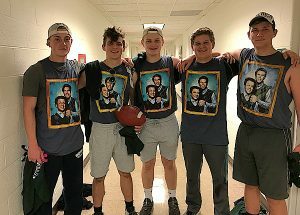 To the right is a photo of NMC’s 2018 intramural flag football champions, “Tag Team”. The players are Carson Warren, Logan Schweizer, Jack Schweizer, Michael Moody, and Zachary Dennis. The team was undefeated and finished with a perfect 5-0 record.